Are you searching for a top quality Chinese translation agency? At LinguaVox, we are experts providing tailor-made solutions to your Chinese translations needs, whether they are legal, technical, medical, or financial. We specialise in Chinese Translation Services, desktop publishing services and software localisation for the Chinese market, and we can also put you in contact with certified / sworn translators and interpreters, in any modality and in most Chinese, European (London, Birmingham, Glasgow, Liverpool, Leeds, Sheffield, Edinburgh, Bristol, Manchester, Cardiff, Belfast), and North American cities. We provide accurate and reliable translation services between most European languages and Chinese (Simplified Chinese and Traditional Chinese). China’s economic growth has averaged an impressive 10 per cent rate over the past thirty years. 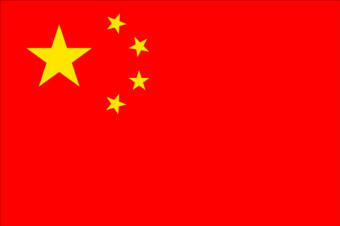 Today, China is the world’s second largest economy, a leading global exporter, and a manufacturing and industrial giant. International trade makes up for a large percentage of China’s gross domestic product, thanks to trade agreements with Europe and with countries in the Asia-Pacific region. Likewise, foreign investment in China has experienced phenomenal growth over a relatively short period of time, and today constitutes of the most decisive elements in Chinese economic expansion. It is estimated that 50 per cent of Chinese exports are produced in foreign-invested companies. China’s rapid expansion has resulted in an unparalleled demand for Chinese translation services. The potential benefits of taking part in this thriving economy can be multiplied by ensuring that all communications flow without the hindrance of misunderstandings or language barriers. The job of the professional Chinese translator is challenging indeed. Experts affirm that translation specialists providing English to Chinese and Chinese to English language services must be familiar with 40,000 written characters. In addition, and although most commercial transactions are carried out in either Mandarin or Cantonese, there are uncountable dialects, which are often mutually unintelligible. The seven main dialects are Mandarin, Cantonese, Gan, Hakka, Min, Wu, and Xiang, each of which is spoken by millions of people not only in China, but in Singapore, Australia, Malaysia, and the United States. Thorough knowledge of all these dialects is not optional for the professional Chinese translator. Do not hesitate to request a free translation quote from English into Cantonese or Mandarin Chinese.